D.P. Scott is a Canadian author who has written five children's books, two romance thrillers, and a wedding guidebook. She has a knack for writing exciting, imaginative tales that capture her readers. She is currently working on a children's book set in Salem, Massachusetts. D.P. Scott's newest book, "The Riddle of Ra", is available as a paperback and e-book! See more below. Back in the United States, Dr. Davon Marshall resumes her job at Boston General Hospital and desperately tries to re-establish her old routine, but the horror of what transpired after she recklessly accepted a job last year in the Middle East, continues to haunt her. Guilty about her romantic involvement with a married Prince and troubled about his mysterious disappearance following a trip together to Cairo, she can't let go of the unsettled feelings and anxiety. When a stranger, claiming to work for the US government offers her a chance to return to Cairo to look for the Prince, she jumps at the opportunity, only to again find herself over her head in a world of deception, uncertainty and murder. 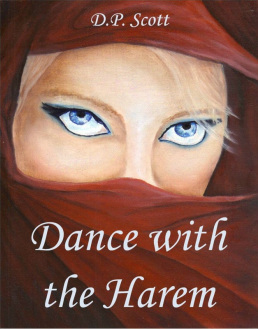 Licking her wounds from a devastating breakup, Davon Marshall impetuously leaves Boston for the other side of the globe having accepted a position as physician to Prince Abdul's harem. Davon thinks this impulsive escape will help her heal, but she is in for a surprise when she finds herself caught up in a web of palace romance, deception, intrigue and murder. Elmer has just finished elf school and is about to leave the North Pole for New York City on his very first assignment. He is a Christmas elf and is supposed to be able to snap his fingers and disappear so that the children can’t see him at the window. But he is the only fairy elf in his class who can’t get the hang of it. Tag along with Elmer and his friends on an exciting adventure and discover the true meaning of Christmas spirit. Robbie’s in trouble! When his mum disappears he’s sent to Ireland to live with his maternal grandmother--someone he’s never met. Nanna seems nice enough, but she is always warning him about fairies, leprechauns, banshees, pookas and grogoch, insisting these spirits live in the forest near her cottage. Of course, Robbie thinks she is a little bit off her rocker, but when he meets some of the other unusual locals, he suddenly changes his mind. 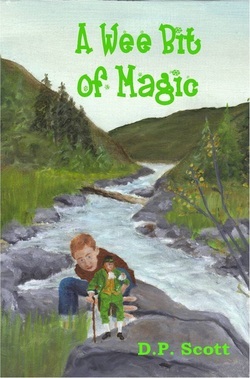 “An enchanting wee story set in modern Ireland and embraces the age-old tradition of the fairy tale with a quest, secrecy, danger, friendship, love and a pot of gold at the end of the rainbow.” Jennifer Bobrovitz, BA, B.Ed, Masters Degree in Library and Information Studies. 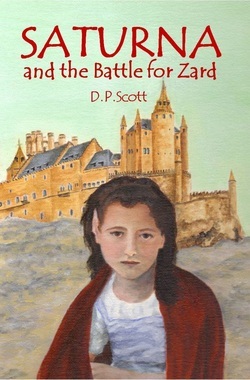 "Saturna and the Secrets of the Kingdom" is the second book which follows "Saturna and the Battle for Zard". Saturna has won the war, but the battle continues. With conflict on the planet Veectors, security issues on Jattee, and a major political situation on Mevot, Saturna must deal with each challenge to maintain control of the Zardian Empire. On route to the ice planet Mevot, a solar storm forces the royal spaceship to seek refuge on Turnti, an advanced planet where the inhabitants communicate by telepathy. Here, Saturna discovers secrets about her mother's past and learns to harness her telepathic abilities. A second unscheduled stop on Thespa, a planet well known for its great beasts and dragons, proves to be valuable when Saturna uncovers a long forgotten secret. The peace following an interplanetary war is threatened when the King of the Zardian Empire dies, leaving his young untested daughter behind as his sole heir. The battle begins when several planets see this as an opportunity to take over the Solar System. Accompanied by Gondee, a Urite with telepathic abilities, Hete, a small furry Kievil of limited intelligence, Peep, a six inch Farilight, who can speak over four hundred languages and Anton, the Captain of her guards, young Queen Saturna must call upon her courage and wisdom to reunite her kingdom. *Please note this is the first book in the "Saturna" series and was previously called "Saturna the Forgotten Princess". 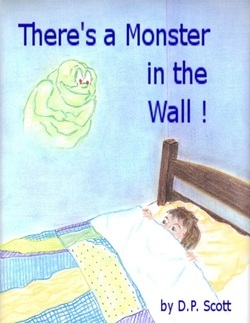 Jacob is afraid to go to sleep at night because he knows there's a monster in the wall beside his bed. The problem is no one believes him. Imagine Jacob's surprise when he finds out the monster is real, and that it has been assigned to watch over him! 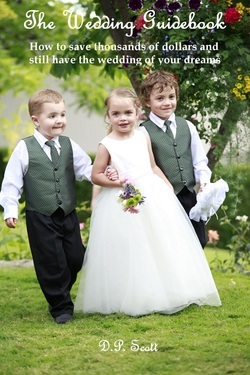 This book is FREE! Great book for kids! 4. Read her latest news!